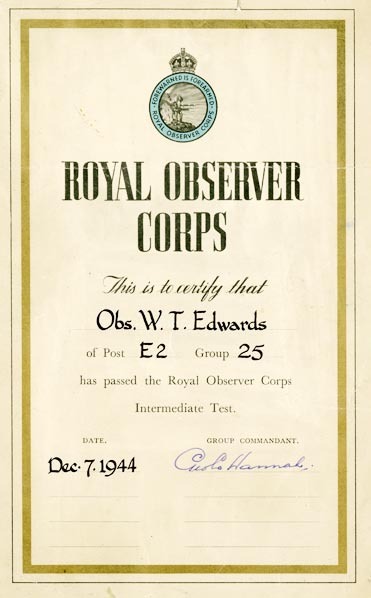 Who were the Observer Corps? – Click here to find out. 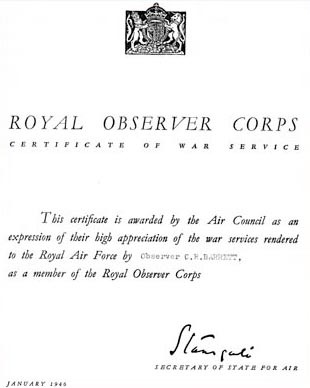 The Royal Observer Corps. was a civil defence organisation operating between 29th October 1925 and 31st December 1995 when the volunteers were stood down. (ROC Headquarters at RAF Bentley Priory stood down on 31st March, 1996). 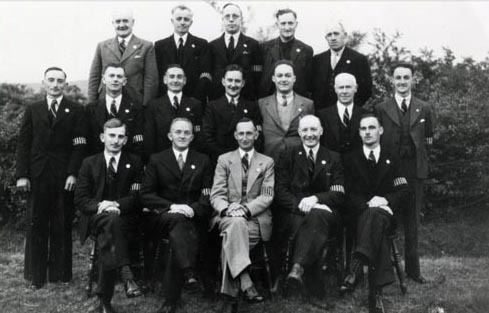 Composed mainly of civilian spare time volunteers ROC personnel wore Royal Air Force style uniforms and latterly came under operational control of the Home Office. 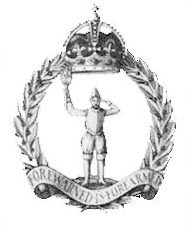 The Hirwaun Branch during the war years had their Headquarters , ROC Post, built alongside the corner of the largest of the two ponds off Rhigos Road, being quite near the Royal Ordnance Factory. The bunker was complete with bunk beds and had a glass roof. The purpose of the Observers was to monitor and record every single aeroplane, and it’s sound, which passed overhead 24 hours a day, 365 days a year! To do this meant volunteers – two people worked every four hours around the clock, which was an intense commitment and a massive service to our nation’s defences in World War Two. The Observer Corps. operated from 1939 – 1945 memorably at the time of the ‘Battle of Britain’ 1940. One newspaper correspondent, Robert Hardman in an article actually describing the air battles over Beachy Head wrote in the Daily Mail, ‘Many brave men lost their lives up here while, down below, frantic Royal Observer Corps units alerted the country to raid after raid from their exposed perches’. A true observation. A salute to all who gave their time to our defence of the realm. One special memory members had was eye witnessing a flight of over 800 war planes passing over Hirwaun North to South at the West end of the Village. Our branch continued into the 1960s. Instructors came from different areas to train the Observers, they were tested and gained certificates for their efforts (see examples). The Corps. 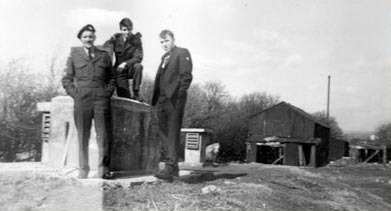 continued from 1948 to 1966 and all records are currently preserved at Bentley Priory, Middlesex.